She was a beloved wife and mother, treasuring time spent with her husband, children and grandchildren. She dedicated her life to God and was an active member in both St. John Lutheran Church in Louisville KY and Emmanuel Lutheran Church in Naples FL. She was a retired nurse who loved helping others through her volunteer work with hospitals, The Healing Place, and the Greater Louisville Medical Society. She participated in other organizations including The Fillies, Inc. of which she was a past president. She adored spending time with her friends, especially traveling and mountain hiking in the Rockies and Europe. Her husband of 52 years, Dr. Robert R. Goodin, a native of Adair County, KY, survives. The Dr. Robert & Carol Goodin Nursing & Counseling Center on the campus of Lindsey Wilson College is named in honor of the couple. 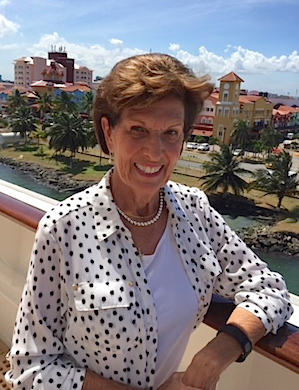 Carol Ann Goodin, age 76, of Louisville KY, and Naples FL, passed away peacefully on Sunday, May 27, 2018, in her Louisville home. Carol's visitation and funeral service will be held at St. John Lutheran Church, 901 Breckinridge Lane, Louisville KY 40207 on Saturday, June 2, 2018, with visitation from 8am-9:30amCT/9am-10:30amET, funeral service at 10amCT/11amET, and reception to follow. A celebration of life will be held in Naples, FL, at a later date. She was a beloved wife and mother, treasuring time spent with her husband, children and grandchildren. She dedicated her life to God and was an active member in both St. John Lutheran Church in Louisville KY and Emmanuel Lutheran Church in Naples FL. She was a retired nurse who loved helping others through her volunteer work with hospitals, The Healing Place, and the Greater Louisville Medical Society. She participated in other organizations including The Fillies, Inc. of which she was a past president. She adored spending time with her friends, especially traveling and mountain hiking in the Rockies and Europe. She was met at the gates of heaven by her parents, Allan and Helen Hornby, and her brother, Ron Hornby. Many siblings-in-law; nieces and nephews; and other dear family members and friends. In lieu of flowers, expressions of sympathy may be made through donations to St. John Lutheran Church or the Norton Cancer Institute. 2018-05-31 - Naples, Florida - Photo Goodin family photo.